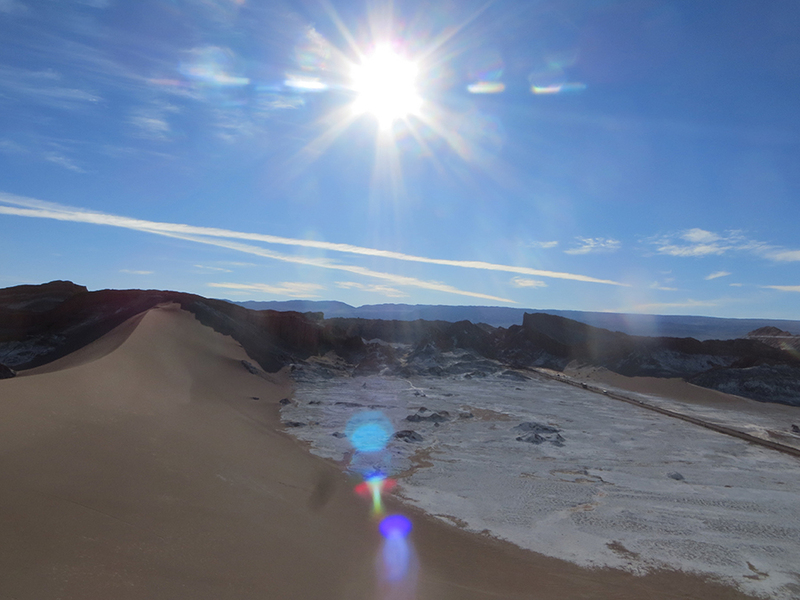 Atacama all alone – Always Look Back ! Atacama is a region situated in north of Chile, less than 2 hours flight from Santiago, I’ve been there various time and always prefered to rent a car instead of taking a tour. First I’d like to reassure you, it’s very easy to orientate yourself in this desert. You have Calama, the airport city, at 1h30 of San Pedro which is the main « city » and the starting point of all the tours. But as I always say, groups are not for me so I always rented cars from Calama to enjoy the desert alone with my friends! I will always remember the first time I took the car from Calama to San Pedro with my friends, crossing the field of aeolians and getting deeper and deeper in the middle of nowhere… Before arriving to San Pedro we took the road on the left direction Rio Grande and stopped to the Petroglyhs of Yerbas Buenas. On the sunset we went to Valle Arcoiris (I’ve been there a few time, I think the best moment of the day for the colours is in the morning). To find it it’s easy: after Yerbas Buenas the road goes down to a bridge, you need to take the road on the left BEFORE this bridge! If you have time you can go to Rio Grande which is a nice village lost in the mountains. From San Pedro we took our car direction south (Toconao – Solaire) and start our trip seing the sunrise on the lake Tebenquiche, then we follow the road to pass in front of the Eyes of the desert – los Ojos del desierto (two big holes in the middle of the earth), and arrive to Laguna Cejar when you can swim in a salty lake (for me it doesn’t own the price). After that, it’s a cul de sac, you will need to go back to the main road and can take a break to Toconao (not a lot to see but a small church and the stairs of the bell tower made of cactus wood ! 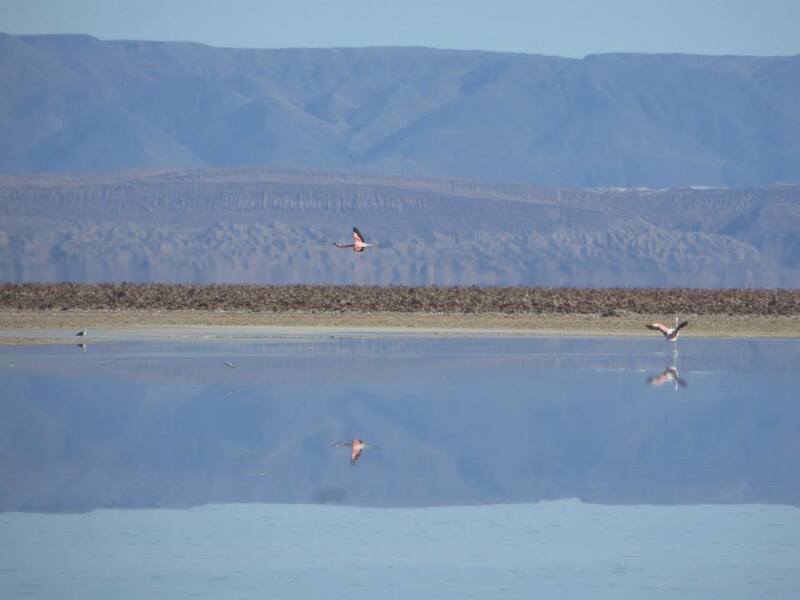 – try to be there at noun it’s still a manual bell) and then direction to south, turn on the first to the right until Laguna Chaxa which is the supposed favorite place for the flamingos. You’ll find there a small museum about the desert fauna et flora, and you can enjoy a nice labyrinth of paths through the salty desert. 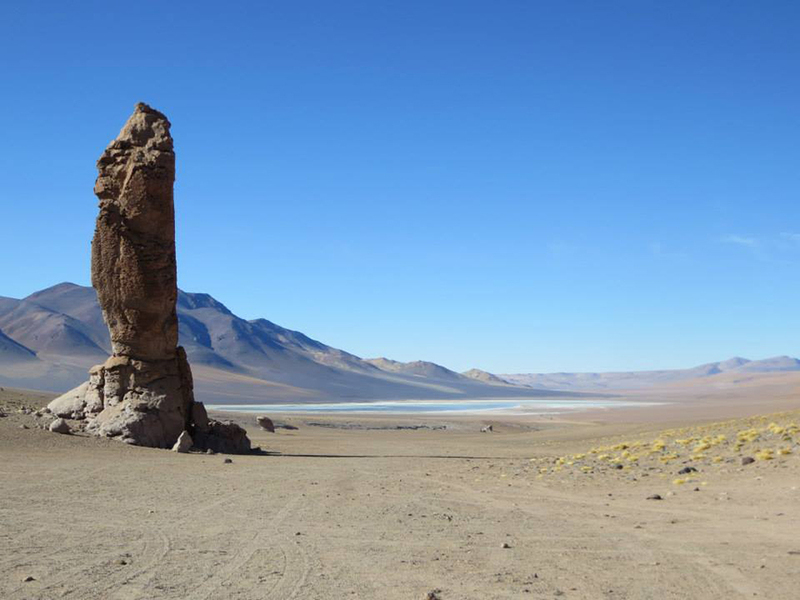 We came back again to the main road, and took direction Solaire to go to Lagunas altiplanicas (Lagunas Miscanti and Miñiques). 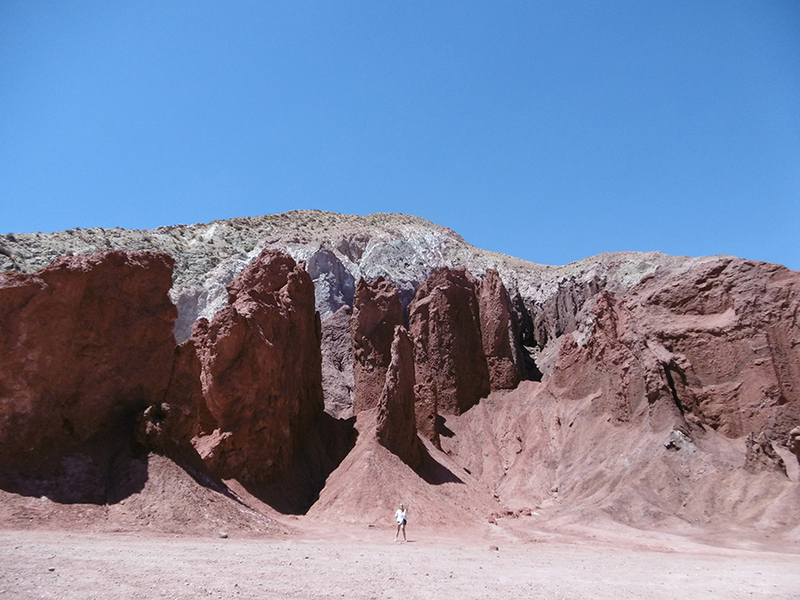 We came back to the main road again and took direction to Piedras Rojas. To be true we didn’t make it the first time (not enough fuel) but you should definitly end this day seing the sunset there! Back to the city we visited a little bit the center… Enjoy the market (entrance on the main place), eat a nice empanada, buy some fruit or vegetables on the car park… You can also visit the museum of meteorite (never did) and a nice church! 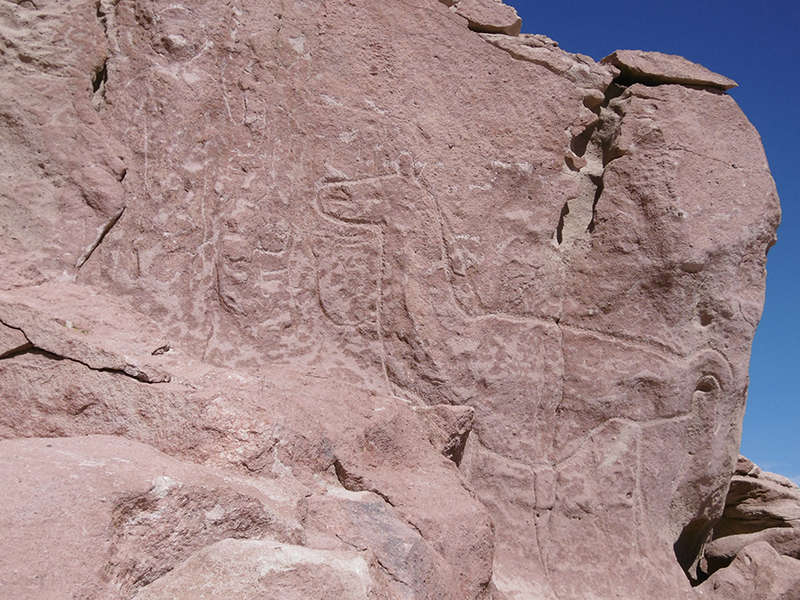 Very close to San Pedro there is a lot of stuff to see: you can start by Pukara de Quitor (Atacamanian ruins), it’s just 5 min drive from the city center and it gives you an amazing view of the Death Valley. 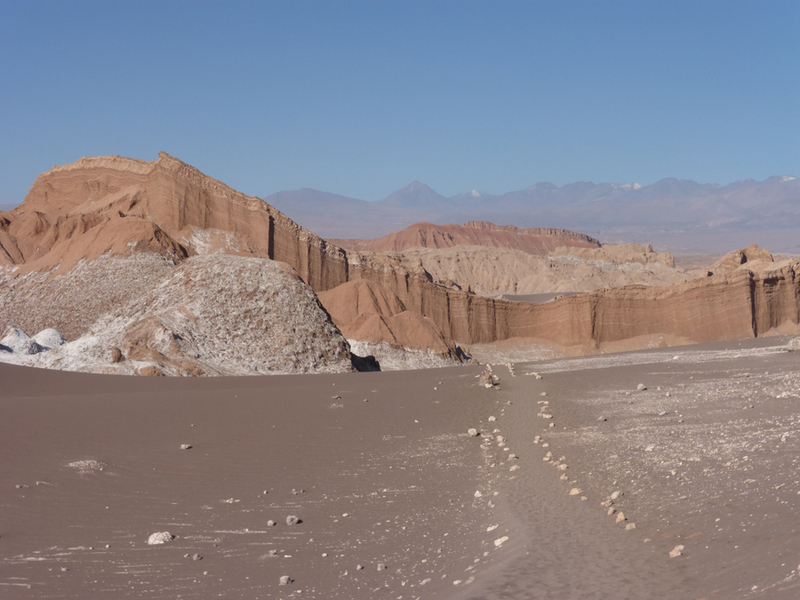 Valle de la Luna MUST be in your todolist! – Casa de Piedra, nice restaurant! 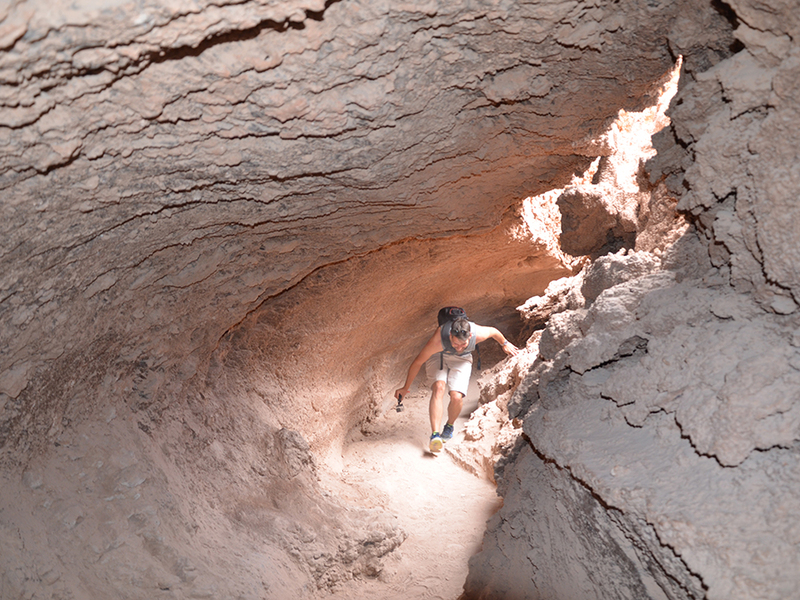 Around San Pedro you can also lost yourself in the Garganta del Diablo, or go to Valle de la Muerte – Death Valley – to do Sandboard (there’s not more to do there…). 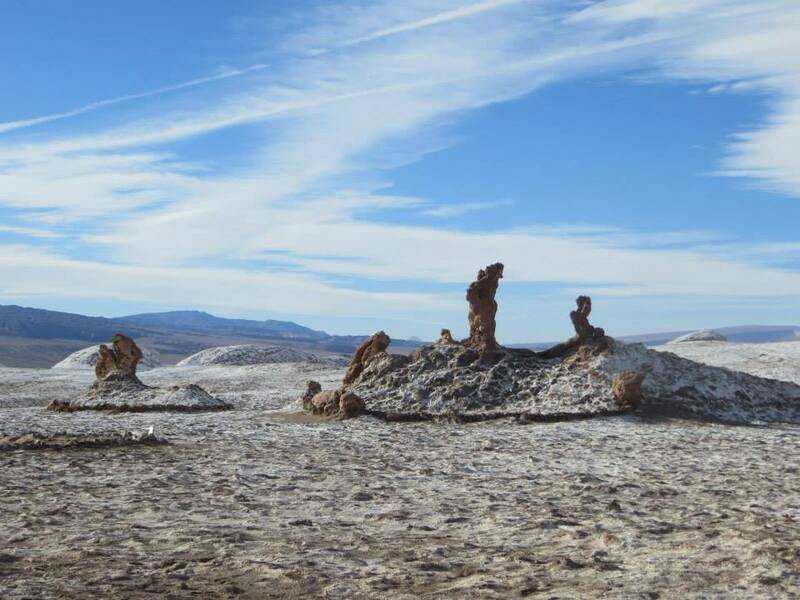 You will first stop at Rio Quepiapo, then you will enter in the desert and have few time to see the Monjes de Tara. They’re old volcan projectiles, very impressive… Then you will stop on a huge crater, and go to Tara’s Cathedrals to have lunch in the border of a lake before coming back. 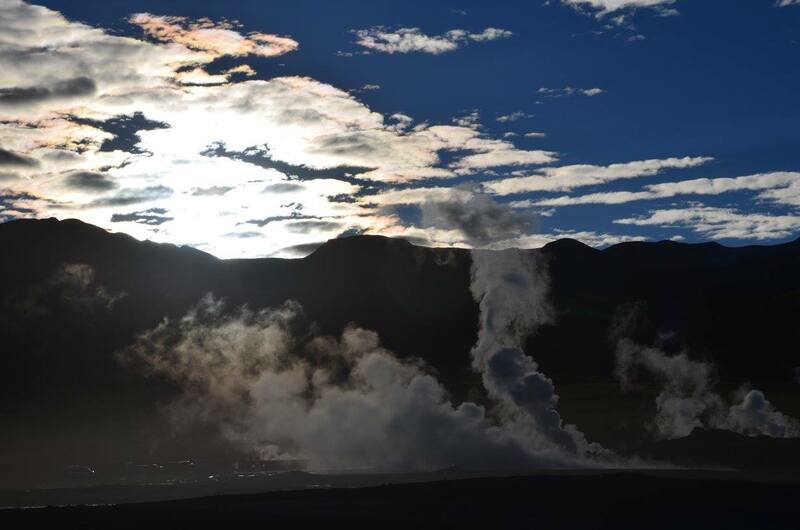 To go to the Geisers without having 1000 tourists with you, you shall arrive before the sunrise or later (around 8am). I did both and I recommend early in the morning to really appreciate the effect of those Geisers and the big smoke towers they make! I also heard that it can be cool for the sunset… And I’ve never did it but you can even take a bath there! You can also wait until Termas de Puritama to swim, it’s a really nice place, an oasis in the middle of the desert with great installations! – Never did: minas de Chuquicamata, the biggest with open sky! You need to book in advance and to start from Calama. – I fully recommend a star tour, but with lot of clothes and more than one telescope for 10 people!